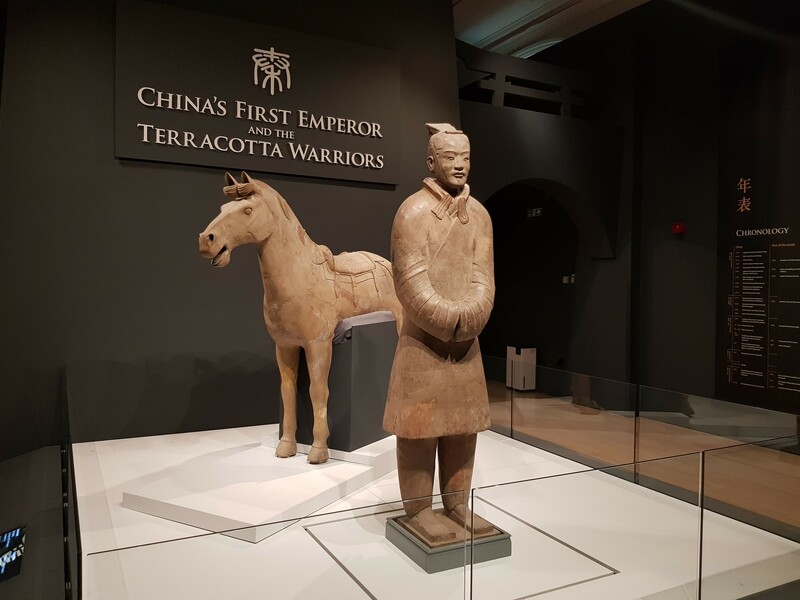 We’ve come to see the Terracotta Warriors in Liverpool. 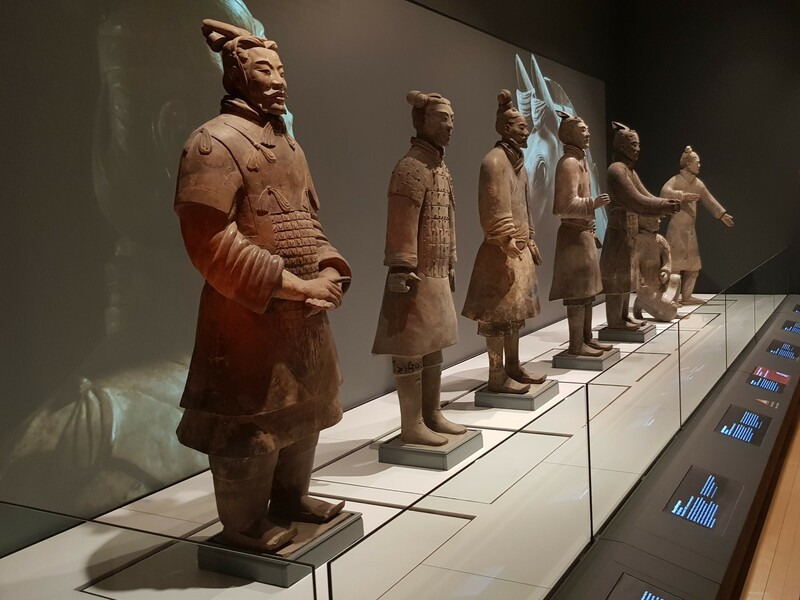 This is not an Asian invasion, nor is it a takeover of armed foreign immigrants like the Daily Fail would have you believe, this exhibition at the World Museum shows a small number of the Terracotta Warriors in Liverpool as part of the China’s First Emperor and Terracotta Warriors exhibition. 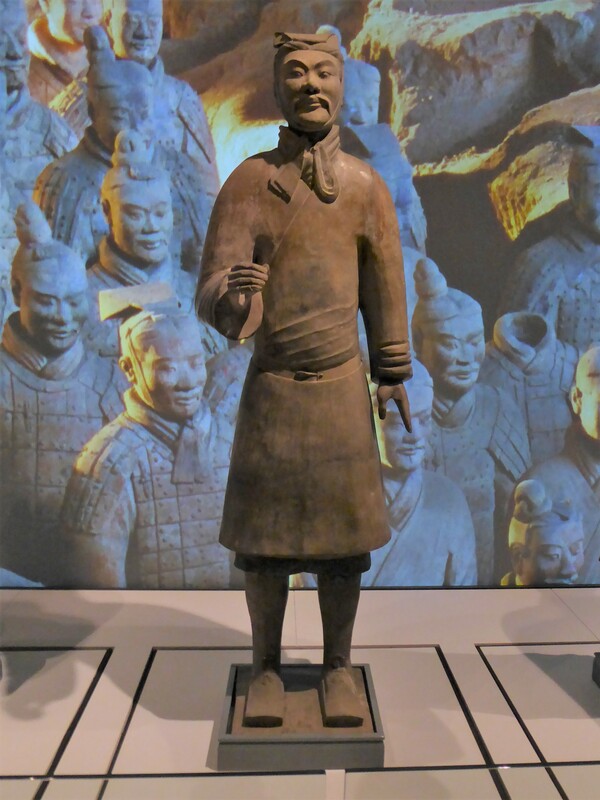 The terracotta warriors were discovered in 1974 and originally commissioned by China’s first emperor Qin Shi Huang. There are thought to be around 8000 figures in total with only 2000 excavated so far. A sprawling tomb complex of burial pits 200 times larger than the Valley of the Kings in Egypt, was discovered by villagers digging for a well in 1974. 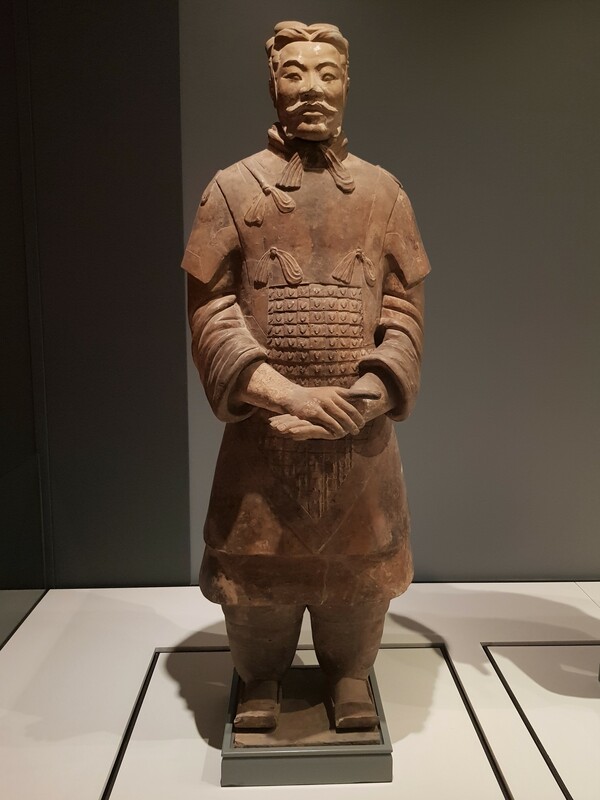 Little did they know they were about to unearth a Terracotta Army with 8000 life-sized individual soldiers. 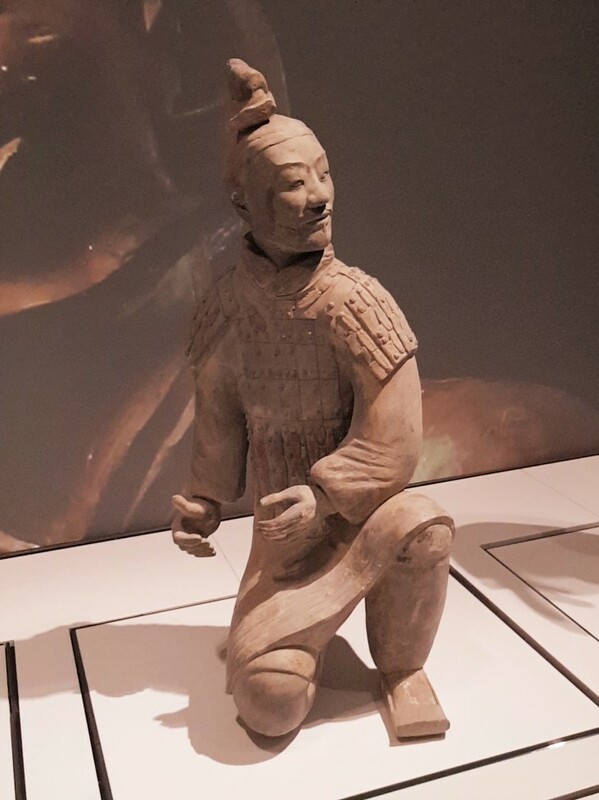 Qin Shi Huang became the first ruler to unify China in 221 BC, and being obsessed with wanting to live forever, started assembling his army of the afterlife when he was 13 years old. 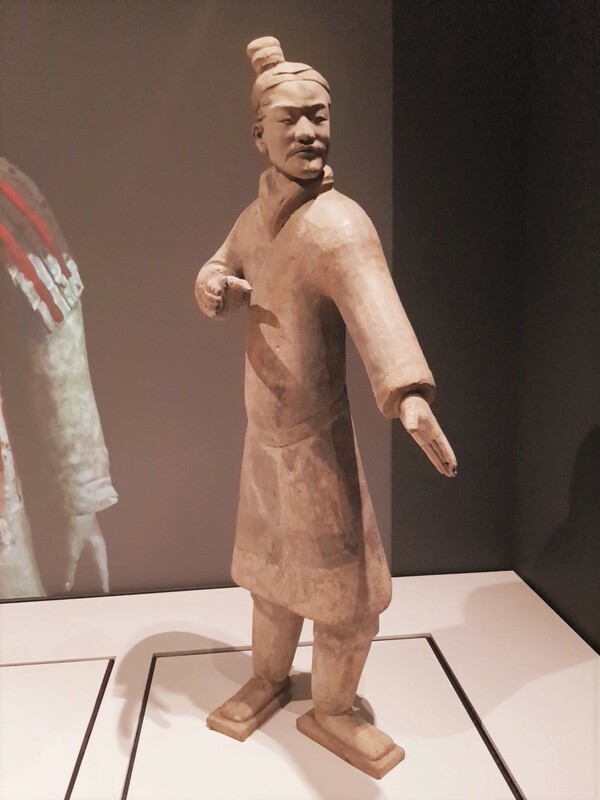 He had a reputation as a cruel and ruthless ruler when he died at the age of 49. I’m 46 and only managed to lay a set of bricks for a greenhouse base that wont last my life time never mind 8000 warriors for the afterlife. Still, I’ve got time I suppose. The exhibition is a timed event and we went for the last viewing of the day. We hoped this would reduce the number of people so we could get a decent view. It didn’t. There’s a large group of people for every showing which starts with what we could only assume was an enforced marketing film from the Chinese tourism board. In all honesty, it doesn’t take that long to wander through and it is a bit expensive at £15 per ticket but I guess that’s cheaper than flying to China. The highest ranking warriors excavated from the burial pits with this one being discovered in 1976. Wearing scaled iron armour, he would also have been armed with a sword and commanded from a chariot. 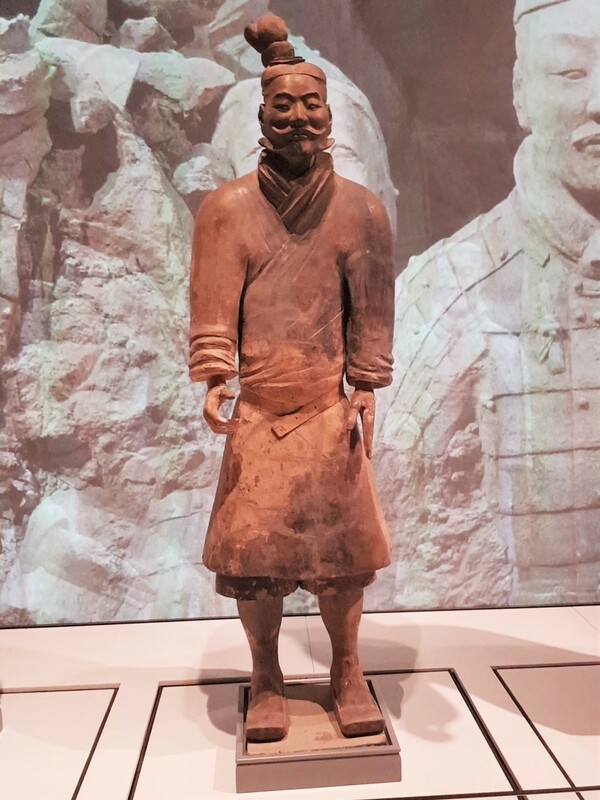 This heavy infantryman was excavated in 1992 and would have formed part of the main battalion and would have been armed with a either sword, halberd or crossbow. Positioned at the front of the main battalion and likely a conscripted peasant. The light infantryman didn’t wear armour and were deployed first. 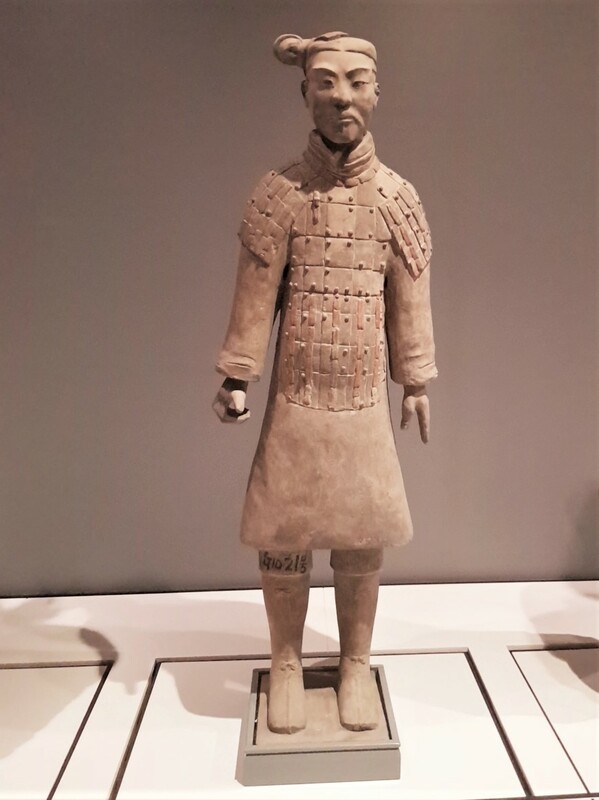 This unarmoured military officer was excavated in 1979 and likely held a spear. 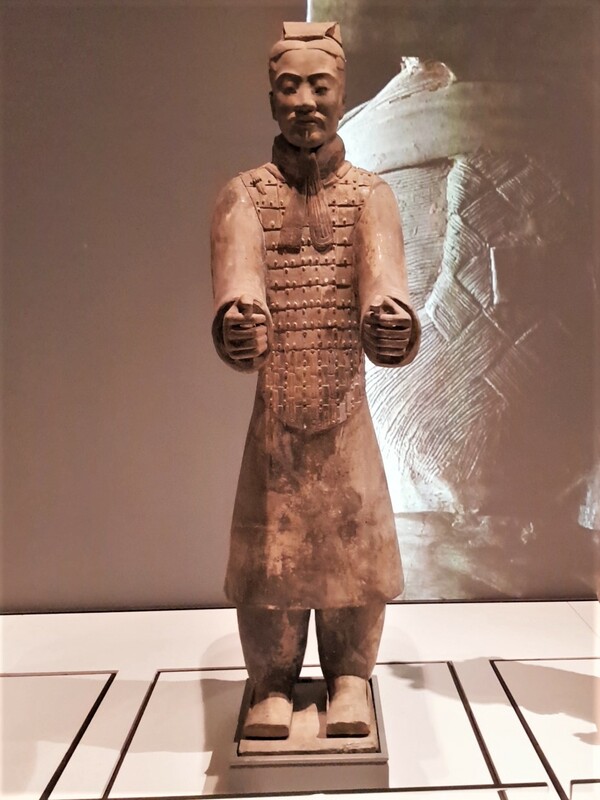 This charioteer was excavated in 1977 and was originally buried with a real wooden chariot and drawn by four terracotta horses. This armoured archer was armed with a cxrossbowthat could shoot heavy bolts over long distances. It was slow to load but required less skill and strength to use. Standing archers were all unarmoured and positioned at the front of the battalion. This exhibition at Liverpool’s World Museum is on until late October. Thanks for sharing these photos. I really wanted to go to see this but we didn’t have the time to go back to Liverpool.